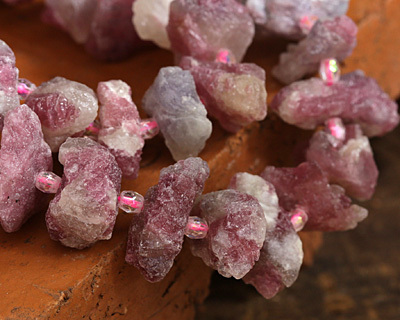 Quartz exists in a rainbow of colors, but we think Strawberry Quartz is one of the most attractive colors available! 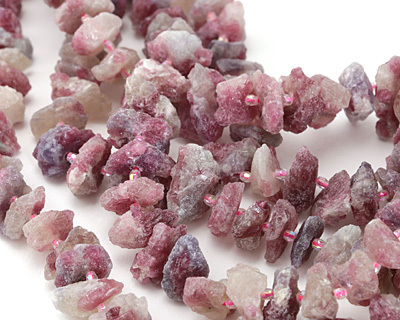 Our Strawberry Quartz beads vary in color from light rose hues, pale blush, to darker berry tones. This stone is gorgeous in a variety of cuts and looks stunning polished. Strawberry Quartz is a macrocrystalline form of quartz. 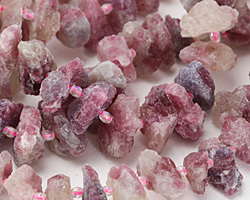 It is often transparent and semi-transparent, sometimes exhibiting hematite crystal inclusions.